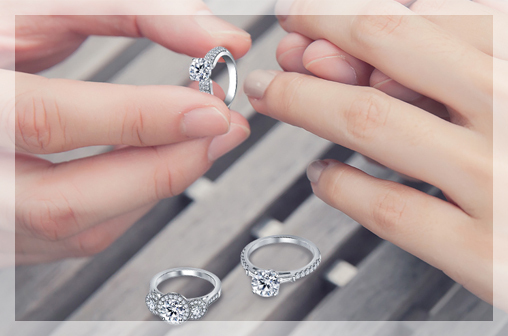 Your engagement ring is an investment, so we encourage all our customers to do their research before choosing one. Here are 10 things to think about before taking the leap. The cut is the most important of the 4Cs because it influences the sparkle of the diamond. Choose the best cut in your budget. It doesn't matter if the diamond has the best clarity and color grade. If a diamond is cut too shallow or deep, it may appear to be dull. The clarity of a loose diamond varies from a range of FL to I. I range stands for included and FL stands for flawless. Flawless diamonds are also the most expensive. It is ideal to buy 'Eye-Clean' diamonds with VS2 or SI1 clarity over flawless diamonds as their flaws are not visible to the naked eye, without magnification. Save by buying under a carat. The price of carat weights such as 1.00 ct or 1.50 ct is more than carat weights like 0.90 ct. or 1.40 ct but the difference in spread is minimal. One should remember that a carat refers not to the size of a diamond but to its weight. Diamond color grades range from D to Z. D, E and F being colorless diamonds while G,H and I are called near colorless diamonds. After the grade I diamonds start to show more color. Diamonds between the grades G to J when set in an engagement ring appear quite white. Save by choosing these diamonds as opposed to diamonds graded D to F .
You deserve to get the best engagement ring for the right price. 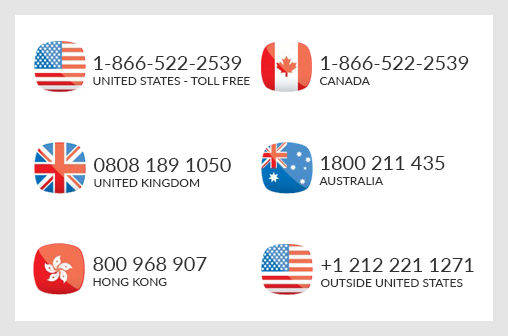 Go online, study all the differences and choose a diamond of your liking for your engagement ring. 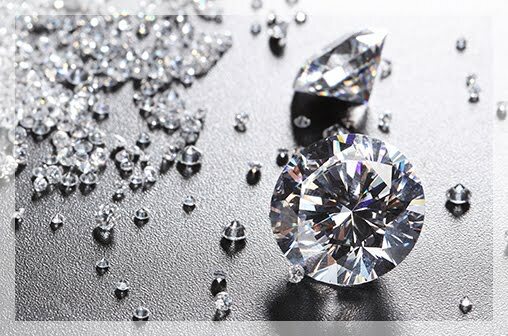 Local jewelers and brick and mortar stores mark up their diamonds as high as 200%. Do your research! 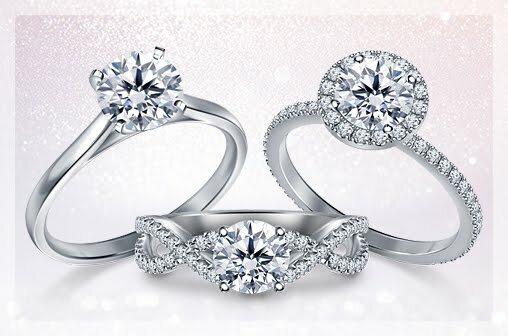 Diamonds reflect the light around them and lasts for a lifetime so choose the perfect metal for your engagement ring. Gold or Platinum are the two most popular metals used for an engagement ring. If your ring is Yellow Gold or Rose Gold, you can save by choosing a near colorless or faint yellow diamond. 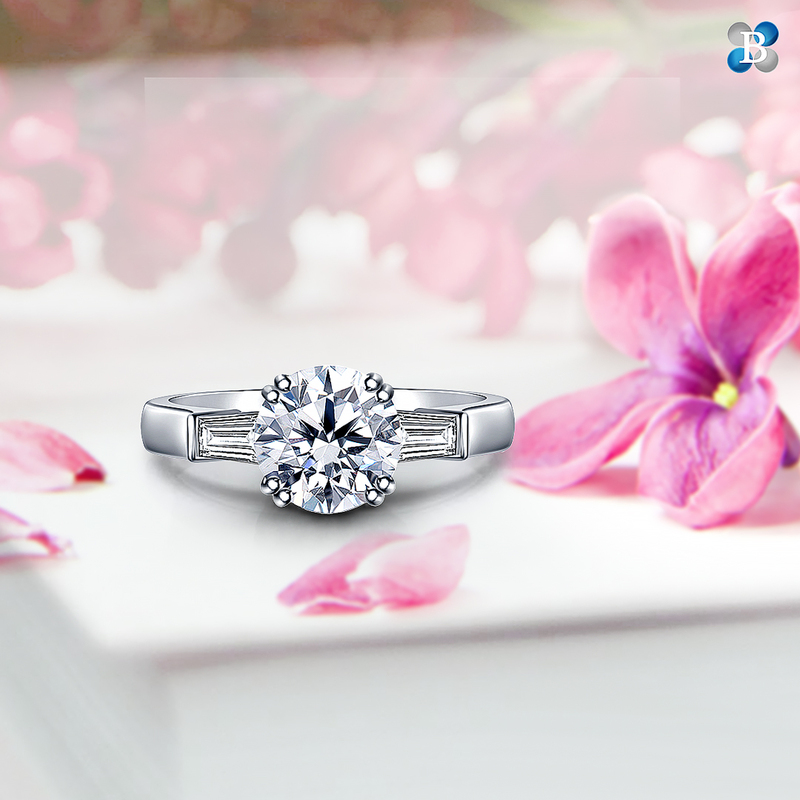 On the other hand if you go in for a Platinum ring, it is clear that there's nothing better than a Colorless Diamond. The icy whiteness of these diamonds will complement the white sheen of platinum. There are 10 popular shapes for loose diamonds. This is where it comes to personal preferences. The Round brilliant diamond sparkles the most while the Emerald cut has subtle flashes of light. The Asscher is quite identical to the emerald too. There is the Princess that has a distinct shape and pointed corners. The Marquise Diamond is unique as it makes fingers appear long. The Oval is nearly similar to the round diamond in a fun shape. The others namely Radiant, Pear, Heart and Cushion each have their own special uniqueness. 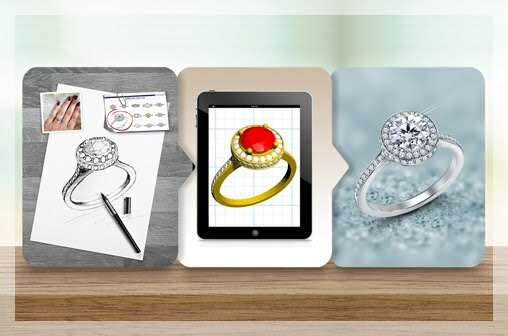 Choose according to the look you want for your ring. Loose Diamonds come with five degrees of fluorescence. If you intend to buy a diamond with fluorescence, first have the diamond examined by a gemologist for any visual flaws. Many times fluorescence isn't a major factor and its effects are negligible. Always choose diamonds graded by reputed gemological labs like the GIA and the AGS as their grading standards are consistent. Choose an insurer that specializes in jewelry insurance rather than an extension of your home owner's policy as it may offer better coverage.